Electricity carries and translates human intent into action... both around us and within us. Externally, it fuels an extensive network of man-made lighting that unbinds our activity to all hours of the day. Internally, it generates synapses through our spinal neural network that bring our thoughts into action and translates them into movement. This interactive light installation draws a parallel between our own physiology and the technological environment in which we live. Electricity is an inherent part of our anatomy as human beings. Neurons encode information with electrical signals and transmit that information through synapses across our spinal cord. The electrical signal involves a voltage change of many tens of millivolts travelling at 268 miles per hour through our neural pathways. In this way motor neurons located in the spinal cord carry signals from the brain to the muscles to produce movement. In this interactive experience we invite the visitors to discover a new way of perceiving electricity and its consumption. 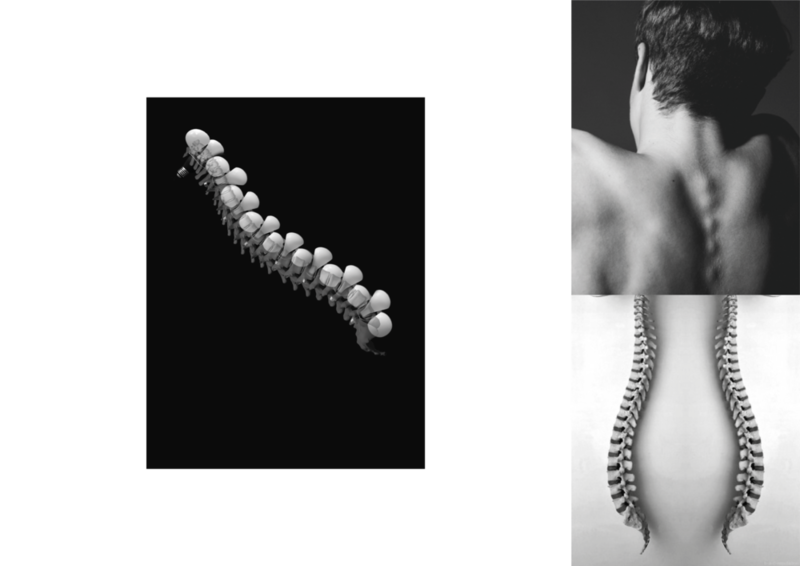 The SPINE is an externalisation of the workings of electricity in our bodies. I am trying to provoke the visitor to look at electricity in a new manner. Visitors witness light trail the chain of bulbs and follow their movement as they ascend and descend the staircase. By creating a direct link between our intent/action and the control of electrical signals and the lighting environment, we put the individual back in the spotlight of energy efficiency. It was ideal to collaborate with Plumen – a pioneer in re-inventing the world of everyday energy consumption. Inspired by the Plumen 002 bulb I saw the means to underline our role as individuals in the energy cycle. The installation is designed by Nassia Inglessis to celebrate the launch of the new dimmable Plumen 002 LED low energy bulb. 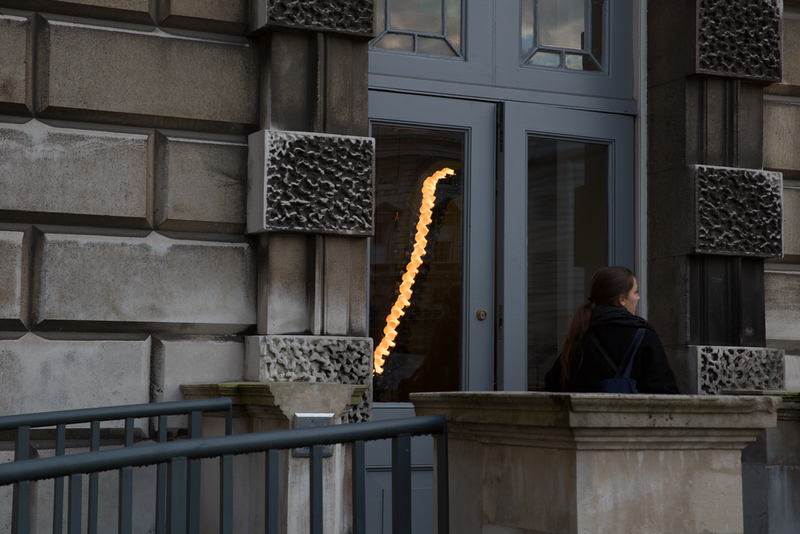 It is brought to you by Studio Ini powered by Plumen, with thanks to Henry Flitton and Marcel Helmer. Photography by Luke Walker, www.lukeandrewwalker.com.